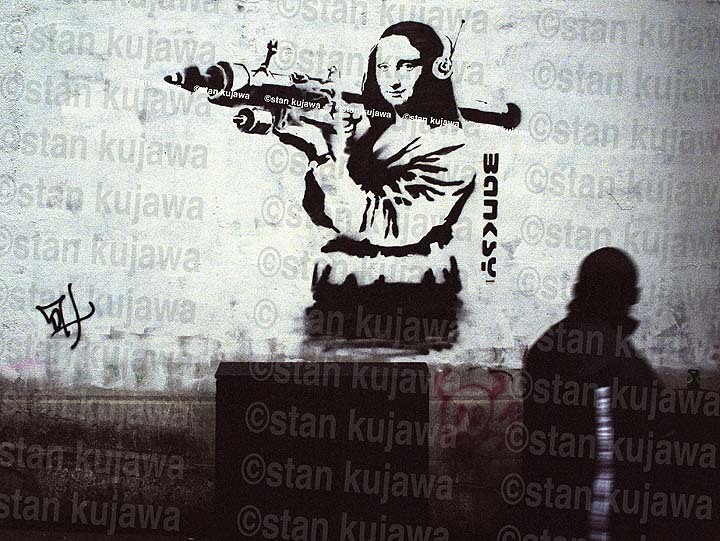 Banksy Graffiti of Mona Lisa on a wall in central London 01.05.01. ©Stan Kujawa. All Rights Reserved.